The Company: CRDB Bank Plc is an African Bank and a leading Financial Services Provider in Tanzania with current presence in Tanzania and Burundi, East Africa. The Bank was established in 1996 and was listed on the Dar Es Salaam Stock Exchange (DSE) in June 2009. 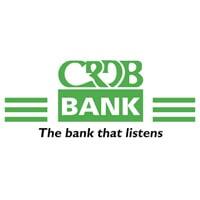 Over the years, CRDB Bank has grown to become the most innovative and preferred financial services partner in the region. On behalf of the CRDB Bank, we are seeking to recruit a highly competent, self-motivated and professional individual to fill the position of Head of Procurement. The potential candidate should be able to quickly integrate into the existing leadership team. Reporting to the Deputy Managing Director – Shared Services, the Head of Procurement will be responsible for leading the sourcing effort, identification of potential suppliers and conduct negotiations on high-value strategic categories for the Bank. anticipated changes within and external environment. implementation by providing coaching and support to them. 4. Manage departmental budgets that include recommendation of invoices for payments and proposals/ quotes, preparation of budgets for the procurement department and give inputs of price indications to user department. 5. Lead in the development and maintenance of the Bank’s procurement processes in use and make recommendations for improvements to enhance efficiency and effectiveness of service delivery. 6. Manage all strategic procurement projects for the Bank-from capital expenditure, opex and other significant projects as per Bank of Tanzania Outsourcing Policy and guideline. continually meet the highest standards required. 8. Carry out end to end procurement process that start with demand management that drives supply analysis/strategy, supplier identification, sourcing execution through tender initiation, contract negotiation, delivery planning and monitoring, purchase execution, and then ongoing performance management and improvement. 9. Carry out commercial negotiations for the Bank to ensure value for money is realized and prepare quarterly procurement reports for the Board for decision making. 12. Conduct periodic business reviews to monitor compliance to all policies requirements and advise management of any gaps and ensure effective quantification of all procurement risks through the maintenance a framework for financial quantification. 1. The successful candidate must have at least eight years’ experience preferably in a Procurement/Supply Chain Management in a financial institution or a busy firm. 2. S/he should have a Bachelor’s degree in Supply Chain Management, Economics, Finance, Operations, and Engineering or a related area and relevant qualification from a recognized university. 3. A Master’s in Business Administration will be an added advantage. 4. The candidate must be a holder of CSP (T)/CPSP (T) and registered with the Procurement and Supplies Professionals and Technicians Board (PSPTB). 5. The incumbent must have experience in handling complex and strategic procurement preferably in the Banking industry, a proven track record of delivering large savings and other value to large spend via a strong team and experience in handling complex negotiations on both technical and nontechnical procurement for an organization. Send your application to reach us by Sunday, 2 December, 2018.In addition please attach a curriculum vitae that contains details of your qualifications, experience and positions held relevant to this role. Include your day and evening telephone numbers, email address, and the names and address of three professional referees. Canvassing in any form is not allowed and will lead to disqualification.